Welcome to the official help site for TWPStain.com. 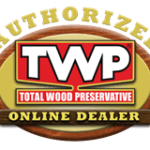 TWP Total Wood Preservative is an EPA registered wood preservative for decks, fences, gazebos, cedar siding, wood shakes, log homes, outdoor furniture, and other exterior wood surfaces. TWP wood preservative offers outstanding protection from UV fading, wood rot, water damage, and mildew for all types of wood species. The TWPStainHelp.com site is designed for exterior wood and deck owners looking for solutions to their wood maintenance questions. We have gathered information based on years of experience. 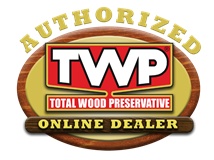 From TWP stain tips and wood maintenance advice to prepping new wood and how to articles we will guide you through step by step to achieve professional-like results using any of the TWP wood preservative products. Please read our articles and feel free to ask any questions that you may have about restoring your exterior wood or decking surfaces. The information you need regarding wood and deck restoration and TWP deck stains are all here. Please enjoy and remember that we are here to help. Applying TWP Wood Stain with a Sprayer? Brand New TWP 1500 Series Brochures! New TWP 100 Series Brochures are Here! TWPStain.com – Spring 2018 Online $4 Rebate per Gallon! Win Free TWP Stain! Spring 2017 Contest!